As usual, every 2 or 3 months went to MAC counter to restock my makeup stuffs. So, last month i went to MAC @ Isetan to buy Mac Studio Finish concealer that about to hit the pan. BUT! I didn't purchase it. I change my mind. Suddenly thoughts of trying another type of concealer. 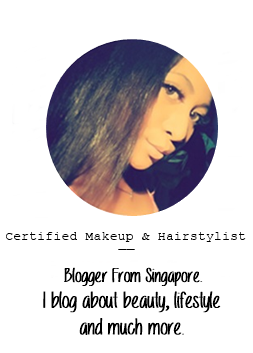 So, finally i decide to ask the MAC MUA which concealer got the good coverage and much more. And this MAC MUA chinese guy recommend me the Mac Pro Longwear concealer and even tested it out on my hand. And so i rub it gently and can feel the texture very smooth. I LIKE! I'm in the shade of NW35. Without any delay, i decided to purchase this Mac Pro Longwear concealer. It cost $30. After purchase it, suddenly this worried and regret feeling appear. Because, i'm not sure if this Mac Pro Longwear concealer does the great job on me or not. Who knows taking a picture of myself with flash and suddenly BAM! Look like panda eyes. BUT BUT BUT! I prove myself wrong! Wanna know why? Okay continue reading. Hehe. Glass bottle might be tricky for travelling. Pump is hard to control for precise amounts. To be honest, the Mac Pro Longwear concealer really does awesome job on my undereye area, fine line, and also it covers well on any blemishes. Yes! Awesome! Plus, the concealer feel so natural on your skin. Does not feel cakey, does not feel heavy coverage or even anything. I suggest to use moisturizer first before applying the concealer. And also can be applying the concealer first before putting on your foundation. Picture above is from both of my MAC concealer. The Mac Studio Finish is the creamy type. And the Mac Pro Longwear concealer is the liquidy type. And i like both of the concealer too! Good coverage! Both concealer does a great job. To those of you that still finding a good and not heavy coverage of concealer, i recommend you to this Mac Pro Longwear Concealer. Worth the money. It just $30. With many types of shades that available at the Mac counter.